Augusto Quilietti, son of Leonardo Quilietti and Eletta Brucciani , married Francesca Arpino on the 20th August 1893 in the Church of the Sacred Heart, Lauriston, Edinburgh. Our connections with this family starts right there. The Arpino family’s roots are from the Frosinone region of Italy which is situated in the region of Lazio in central Italy. 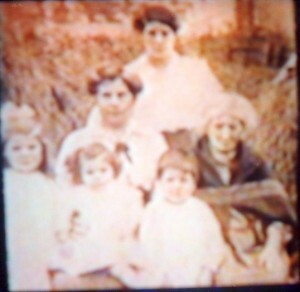 FOUR GENERATIONS of ARPINOs . We think perhaps one of the Graham family now have the original of this rather blurred copy. Would love to hear from you if you can help. 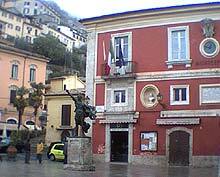 The Arpino family originally came from the village of Aprino in the Region of Lazio in Italy. This village dates from the 7th century B.C. when it was called Arpinum by the Romans. The family spread to other villages nearby and our branch settled in the village of Sant’Elio Fiumerapido which is a village just near Monte Cassino in Lazio. The village is perched upon a small hill and has a beautiful high walled cemetery at the bottom of the slopes amidst vine groves. You approach the gateway through the vines then into the cemetery itself. Even today this small hamlet Sant ‘Elia Fiumerapido which is nestled in the hills has inhabitants of only 7000. This region is the most central part of Italy and because of it’s location has long dry seasons. Built in the 9th century it was feudal property of Montecassino and it’s destiny was linked to the great Abbey. Due to its many rivers Sant’Elia had many factories which produced paper for Montecassino’s scriptorium, for merino wool production for flour mills and olive oil production. It was the first town in the Roman countryside to have electricity because of its many rivers. The Unification of Italy although was a wonderful event had an immense affect on the inhabitants of the Regions. Many of them found themselves out of work and the new Landowners unwilling to pay their workers. After the unification many mills were closed and moved to Northern Italy which was the home region at the time of the ruling Savoy’s. Francesca Arpino’s parents were Benedetto Arpino who was born in the year 1833 in Saint Elia Fiumerapido and Benedetta Cascarina who was also born here in the year 1839. 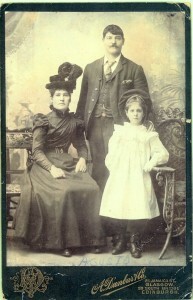 The couple married in the year 1868 and their children came along soon afterwards. They followed a route through England and were in Westmorland in 1899. MICHAELANGELLA ARPINO – married Benedetto Fusco. The Arpino/ Fusco double-weddings of sisters with brothers with nearly the same names shows how close the Italian communities had become. The Grassmarket area was their final destination and they soon assimmilated into how things were progressing for these new immigrants at the time. 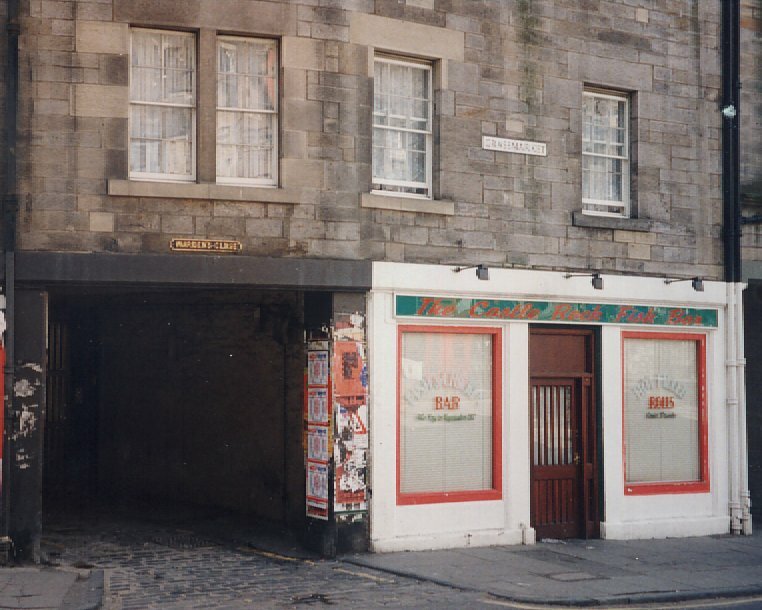 Confectionery and Ice Cream was what they chose as their new profession and despite the language difficulties they soon found themselves a little shop at 89 Grassmarket with a flat above where they all lived. This shop is still here today and is still a fish and chip shop. The Grassmarket was at this time home to many Italian immigrants and the area was not like it is today. Historically this part of the city was as the name suggests the main market street and it has been since 1477 right up until 1911. It was also used for public hangings. A popular Edinburgh story would be about Maggie Dickson, a fishwife from Edinburgh who was hanged in the Grassmarket for what would now be considered a trivial crime. They took her body back to Musselburgh after the hanging in her cosy coffin. However on the way back she miracously awoke. Under Scots law she was legally dead and could not be executed again. Maggie Dickson was allowed to be set free. However back in the Grassmarket the family was now well established and getting used to into the Italian/ Scots lifestyles. Their Church of course played a great part in their lives and the Arpino’s were no exception. 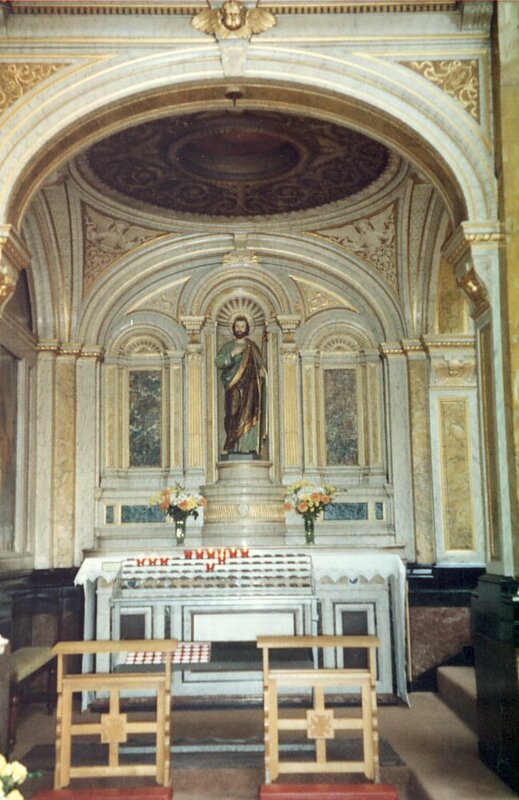 The family chose the Church of the Sacred Heart as their own and it was here where they would meet more Italian families. In time their children themselves would marry and with no exception to others within this close knit community. Old Benedetto Arpino died on 19th June 1913 in Solicitors Buildings, High Street, Edinburgh. His wife Benedetta died on 26th January 1919 in the Main Street in Roslin. Hello Joanne. Thanks for taking the time to comment. This is very interesting indeed. As far as we know our branch of the family were from the Picinisco area and surrounding areas. We know the family spread to France and there are descendants there even today around Paris. But this is the first time we have come across a branch from Naples, which is really not too far from the Picinisco area really.